Ahh a cheesy line I know but basically I got my hair cut! I (used to) have long hair but it was long and whispy – lots of split ends in it. It kept getting knotted and I got fed up of it. So on Saturday I went to get it cut! As you can see I’ve had quite a bit taken off! 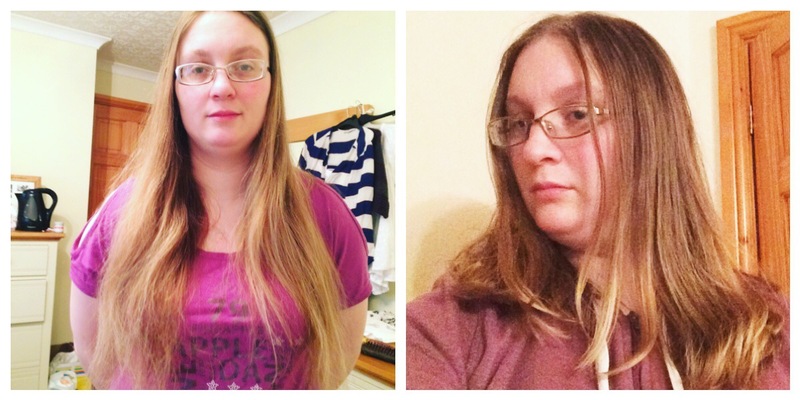 I hadn’t had a haircut since January 2014 so it was definitely due a cut. I didn’t get any colour this time because the girls and hubby were waiting for me and colouring my hair takes ages. I’m going to go back for colouring but I’m undecided what to do. As much as I would love to go pink or purple again I don’t think I can get away with it now. I deal with too many clients and having a pink hair wouldn’t be very appropriate. Instead I’m thinking of doing blonde highlights again but possibly have a cheeky streak of pink underneath so that you wouldn’t see it. I wasn’t the only one getting my hair cut on Saturday. We took Little Miss to have her first haircut! 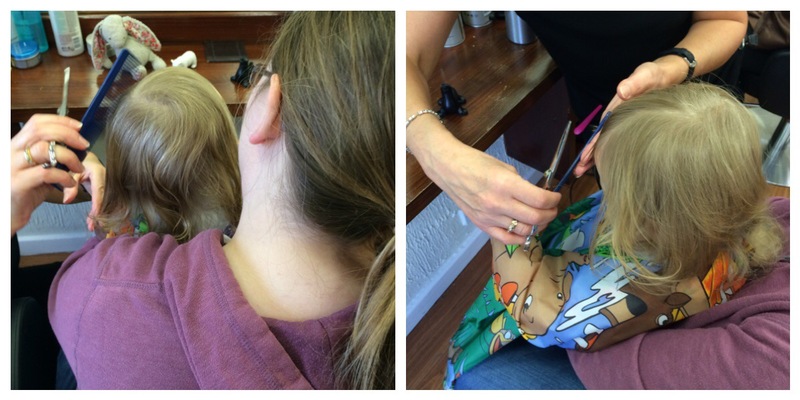 She had to sit on my knee whilst the hairdresser cut it. The hairdresser gave her some toys to play with and was happy enough. She wasn’t too keen on the water that was being sprayed on it but otherwise was as good as gold. Personally I’m not keen on the cut – it looks like a “bowl cut” but I think it just needs bedding in. Any suggestions with regards to the colouring? Looks lovely. I think the idea of having secret pink hair is so fun.